To fight against the ambient cold weather, embellish yourself with softness and warmth. DISCOVER OUR FINE AND ELEGANT MESH. Enjoy the change of season to bring you refinement and comfort. 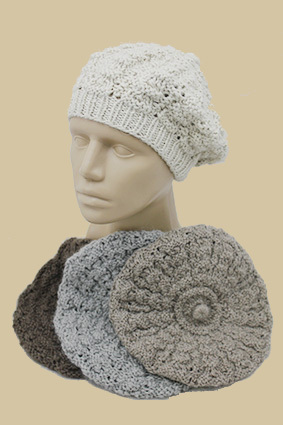 These hats in double thread carefully knit will get the heat of your body to store her in this wonderful hollow and insulating fiber which keeps the physical temperature. In sum a heating hat. Yes! 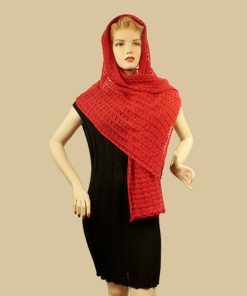 The wool of alpaca is of such a quality as you will even risk to be hot. Its sharpness and its natural sweetness will lead to forget you that you carry her. For 15 years and many journeys in the country which “touch” the sky, Pach’Inti grew rich of the meeting with the Other one. The one who is different, the one who makes you growin up. Our objective is to work in harmony, that each finds in its work a fulfillment and a remuneration with dignity. 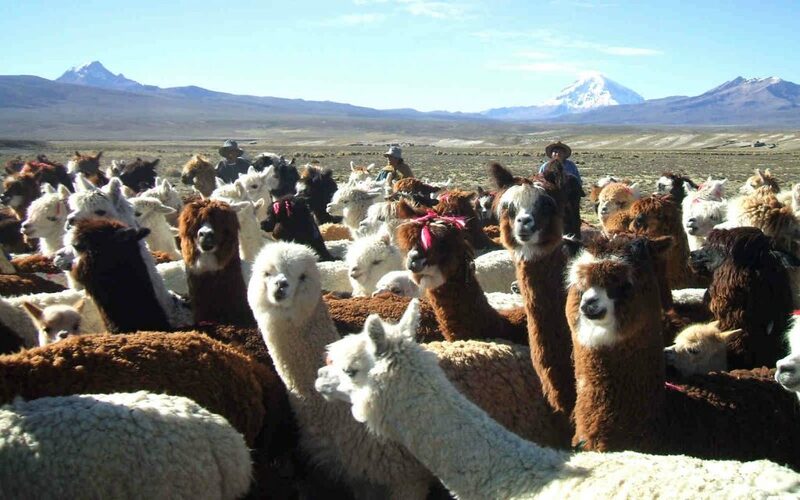 The alpaca lives in herd and is autonomous when in its research for food. Its food on the trays of height does not require human interventions. They feed essentially on herbs (that they do not eradicate) of every types and even mediocre quality. He lives free and in harmony in his environment emitting only very few greenhouse gases. Its ratio weight / thermicité, the highest to the made world that our ecological impact is very low when we import it. A fair anf friendly trade for a result which lasts in time. The production of Pach’ Inti is in human scale. It’s a really handmade work without any digital help. 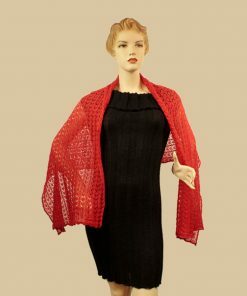 The experience and the suppleness to the techniques of weaving and knitting are amazing. These women and men bring us remarkable and unique products. From this work and these qualities of this wool results a huge resistance product. welcome to the pach’inti family! Join the mailing list and you will be notified by the dates of sales private and loads of new products. Pach’inti was born in Bolivia fifteen years ago with the idea of developing a fair and environment friendly trade with Bolivian craftsmen as well as getting culturally richer thanks to this culture and its traditional arts. 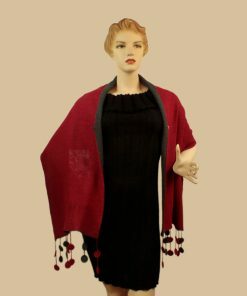 We work together to offer you a range of garment and woolen accessories 100 % natural. The wool of Alpaca possesses exceptional natural properties (warmth, softness, comfort, lightness, resistance, impermeability… ). Added to the elegance of his perfect hanging, it will provide you colors in the eyes. The humain being remains at the heart of our approach so we produce our range of clothes and accessories in a traditional way without any digital machines, thanks to the eye and the agility of these precious hands. Thanks to this process, our trade is directly profitable to the local economy as it creates a remuneration with dignity. Pach’inti’s carbon footprint is very low, it annually represents two people’s trip to South America with their luggage.